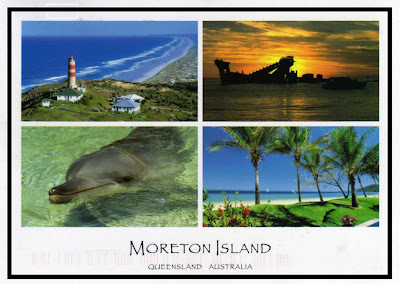 Famous Landmarks: the Great Barrier Reef, the great outback, the world heritage rainforest, Sydney Opera House, the Super Pit Gold Mine, Royal Exhibition Building, Sydney, Harbor Bridge, beaches, sun, and more beaches! Australia, among the top 10 places I want to visit in my lifetime- and my 17yo sister beat me to it first!! It is with great pride nonetheless to see her go and accomplish this experience of a lifetime at such a young age. 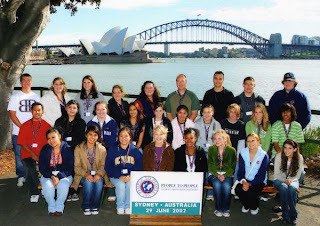 She was part of the very few, chosen to represent the United States for People to People Ambassador Program in a three-week exploration, educational and life-changing trip to Australia just this summer (June) of 2007. People to People is a program initiated by the late US President Dwight D. Eisenhower in 1963, believing “that ordinary citizens of different nations, if able to communicate directly, would solve their differences and find a way to live in peace.” Since then, hundreds of young ambassadors in the United States are set out to see the world annually; in places in Europe, South Africa, Asia and the Pacific. Inah, my sister picked Australia. Well, there is a catch to this program as families have to shoulder the entire cost of the 3-week journey- and it wasn’t cheap! To find out more about what we did for that trip and other related stuff, I made a website for her during our campaign. It was all worth it and we wouldn’t have it any other way! my sister is the second person in the front row to your left (facing the screen). To this day, my sister is still talking about Australia and pictures of her trip are spread out in her myspace and friendster accounts to prove it. 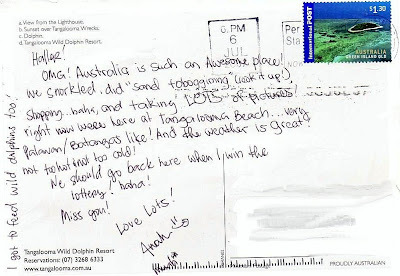 🙂 Cute that in her postcard she would compare the Australian beaches to Palawan and Batangas, in the Philippines. As for me, to snorkel and dive in the world’s largest coral reef, The Great Barrier Reef- that’s to die for! She did snorkel there; among other things: sand toboggining (I know, it’s the first time I’ve ever heard the term too! It’s sand sledding in the dunes! ), fed the dolphins, held a koala in her arms, met with the Aborigines, went to the Sydney Opera House, climbed the Sydney Harbor Bridge, ate authentic Aussie dishes and mingled with the locals.